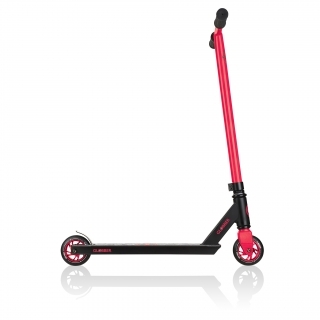 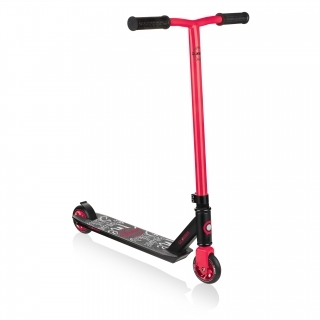 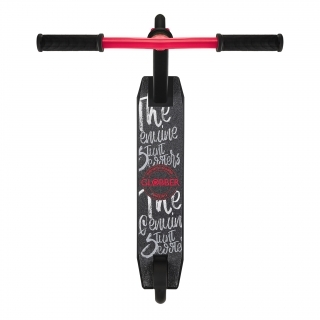 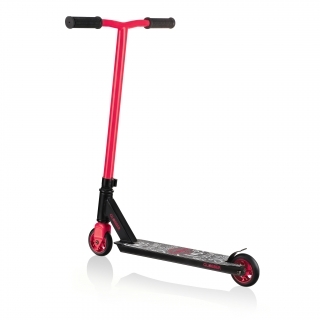 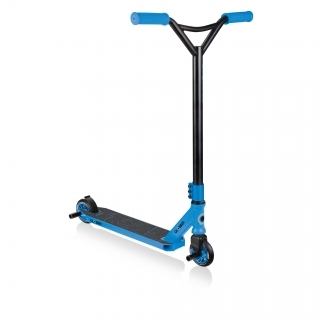 Globber GS 360 stunt scooter for kids aged 8+, teens and beginners. 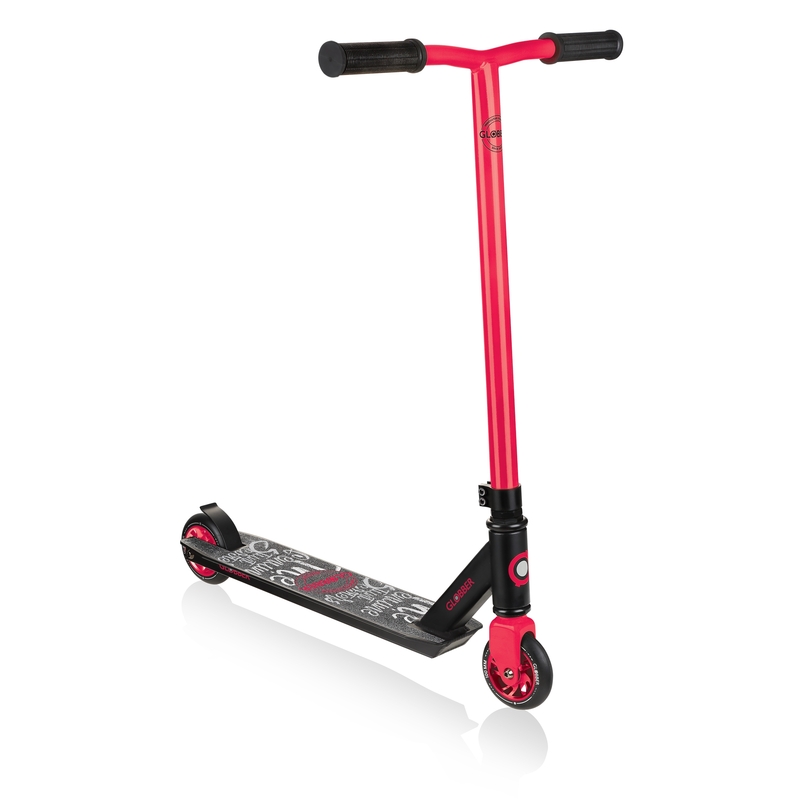 1 channel deck design with double lower clamp, reinforced headset & fork. 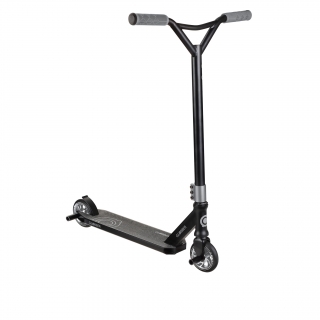 32mm diameter steel fixed T-bar (L 510mm* / 20.1” x W 460mm / 18.1”) with one-piece curved handlebars; 6061 anodized aluminium double lower clamp, mounted on a reinforced headset & threaded steel front fork. *T-bar height is calculated from the lower clamp to the top of the T-bar.